The adzuki bean (Vigna angularis; from the Japanese アズキ（小豆） (azuki? ), sometimes transliterated as azuki or aduki, or English Red Mung Bean) is an annual vine widely grown throughout East Asia and the Himalayas for its small (approximately 5 mm) bean. 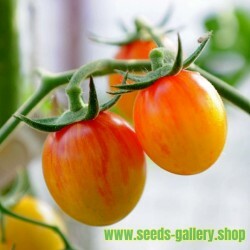 The cultivars most familiar in Northeast Asia have a uniform red colour, however, white, black, gray, and variously mottled varieties also are known. 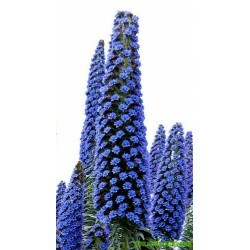 Scientists presume Vigna angularis var. nipponensis is the progenitor. The wild ancestor of cultivated adzuki bean is probably Vigna angularis var. nipponensis, which is distributed across Japan, Korea, China, Nepal and Bhutan. Speciation between Vigna angularis var. nipponensis and Vigna angularis var. angularis occurred around 50,000 years ago. Archaeologists estimate it was domesticated around 3000 BCE. However, adzuki beans (as well as soy beans) dating from 3000 BCE to 2000 BCE are indicated to still be largely within the wild size range. Enlarged seeds occurred during the later Bronze Age or Iron Age, periods with plough use. Domestication of adzuki beans resulted in a trade-off between yield and seed size. Cultivated adzuki beans have fewer but longer pods, fewer but larger seeds and a shorter stature, but also a smaller overall seed yield than wild forms. The exact place of domestication is not known, multiple domestication origins in northeast Asia (for example Japan, China, and Korea) have been suggested. In Japan, the adzuki bean was one of the first crops subjected to scientific plant breeding. 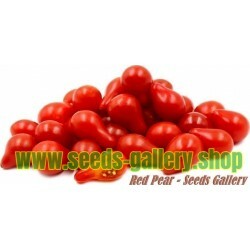 Important breeding traits are yield, pureness of the bean colour and the maturing time. Separate cultivars with smaller seeds and higher biomass are bred for fodder production and as green manure. Locally adapted cultivars are available in China, Japan, Korea and Taiwan. More than 300 cultivars/landraces/breeding lines are registered in Japan. Moreover, China (Institute of Crop Germplasm Resources (CAAS), Beijing, more than 3700 accessions) and Japan (Tokachi Agricultural Experiment Station, Hokkaido-ken, about 2500 accessions) accommodate large germplasm collections of adzuki bean. Furthermore, also weed forms of adzuki bean are frequently occurring in Japan. The wide spread of weed forms is due to adaptation to human-disturbed habitats, escapes of old cultivars, natural establishment from derivatives of hybrids between cultivars and wild forms. In contrast to wild forms, the weed forms of adzuki bean are used as a substitute for the cultivated form and consumed as sweet beans, especially if cultivated adzuki beans are attacked by pests. However, in cultivated gardens the weed form is recognized as contamination and lowers seed quality of adzuki cultivars. The name adzuki is a transliteration of the native Japanese name. Japanese also has a Chinese loanword, shōzu (小豆? ), which means "small bean", its counterpart "large bean" (大豆 daizu?) being the soybean. It is common to write 小豆 in kanji but pronounce it as azuki About this sound listen (help·info), an example of jukujikun. In China, the corresponding name (Chinese: 小豆; pinyin: xiǎodòu) still is used in botanical or agricultural parlance, however, in everyday Chinese, the more common terms are hongdou (紅豆; hóngdòu) and chidou (赤豆; chìdòu), both meaning "red bean", because almost all Chinese cultivars are uniformly red. In English-language discussions of Chinese topics, the term "red bean" often is used (especially in reference to red bean paste), but in other contexts this usage may cause confusion with other beans that also are red. 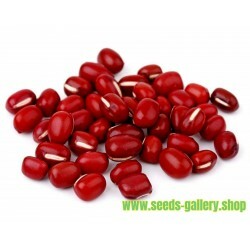 In normal contexts, "red cowpeas" have been used to refer to this bean. The Korean name is pat (hangul: 팥), and in Vietnamese it is called đậu đỏ (literally: red bean). In some parts of India, they are referred to as "Red Chori". In Punjabi it is called "ravaa'n" and is a common ingredient of chaat. In Marathi, it is known as Lal Chavali (लाल चवळी)- literally meaning 'red cowpea'. In Iraq its name is (لوبيا حمره) and that mean "red cowpeas". The adzuki bean is mainly cultivated in China (670,000 ha), Japan (60,000 ha), South Korea (25,000 ha) and Taiwan (15,000 ha) (data published 2006). Additionally, commercial growth takes place in the US, South America and India, as well as New Zealand, Kongo and Angola. In Japan, the adzuki bean is the second most important legume after soy bean, an annual yield of around 100,000t (data published 1998) is reached. With a consumption of about 140,000 t/year (data published 2006), Japan is as well the most important importer of adzuki bean. The imports are received from China, Korea, Columbia, Taiwan, US, Thailand and Canada. The bean yields per area spread over a broad range due to differing cultivation intensity. Amounts of 4 to 8 dt/ha are reported. But in Japan and China also bean yields between 20 and 30 dt/ha are reached. Optimal temperature range for adzuki bean growth is between 15 °C and 30 °C. The crop is not frost-hardy and needs soil temperatures above 6-10 °C (30°-34 °C optimal) for germination. Hot temperatures stimulate vegetative growth and are therefore less favorable for pea production. The adzuki bean is usually not irrigated. Annual rainfall ranges from 500–1750 mm in areas where the bean is grown. The plant can withstand drought but severe reduction in yield is expected. The cultivation of the adzuki bean is possible on preferably well drained soils with pH 5-7.5. Fertilizer application differs widely depending on expected yield but is generally similar to soybean. Due to nodulation with rhizobia nitrogen fixation of up to 100 kg/ha is possible. The sowing of the peas is in 2–3 cm depth in rows 30–90 cm apart and 10–45 cm within the row. Rarely seeds are sown by broadcast. The amount of seeds ranges between 8–70 kg/ha. Growth of the crop is slow, therefore weed control is crucial mainly between germination and flowering. Cultivation systems differ largely among different countries. In China adzuki bean is often grown in intercrops with maize, sorghum and millet while in Japan the bean is grown in crop rotations. Harvest of the peas should not be done as long as moisture content of the seed is higher than 16%. Fungal and bacterial diseases of the adzuki bean are powdery mildew, brown stem rot and bacterial blight. Furthermore, pests as adzuki pod worm, Japanese butterbur borer and cutworm attack the crop. Bean weevil is an important storage pest. The description of the adzuki bean can vary between authors because there are wild  and cultivated forms  of the plant. 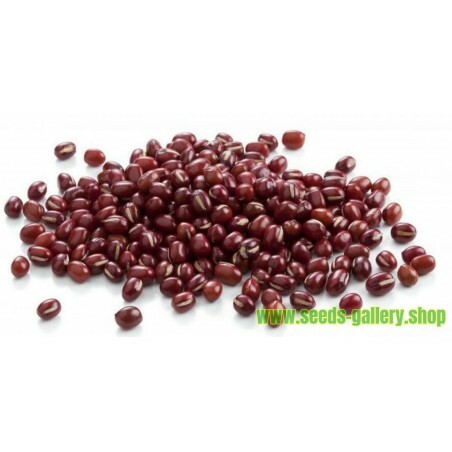 The adzuki bean is an annual, rarely biennial  bushy erect or twining herb  usually between 30 and 90 centimeters high. There exist climbing or prostrate forms of the plant. The stem is normally green  and sparsely pilose. 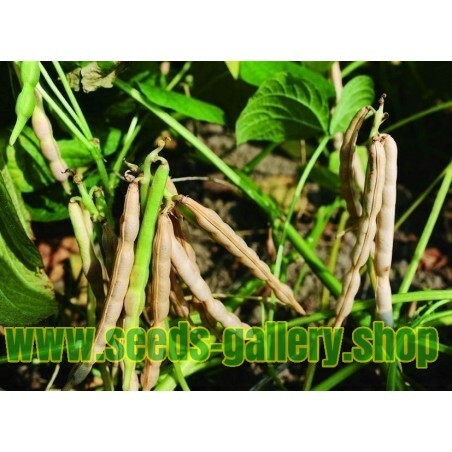 The adzuki bean has a taproot type of root system that can reach a depth of 40–50 cm from the point of seed germination. The leaves of the adzuki bean are trifoliate, pinnate and arranged alternately along the stem on a long petiole. Leaflets are ovate and about 5–10 cm long and 5–8 cm wide. Adzuki flowers are papilionaceous and bright yellow. The inflorescence is an axillary false raceme consisting of six to ten (two to twenty) flowers. Adzuki pods are smooth, cylindrical and thin-walled. The colour of the pods is green turning white to grey as they mature. The size is between 5–13 cm x 0.5 cm with 2 to 14 seeds per pod. Pod shatter during seed ripening and harvesting might be a difficulty under certain conditions. 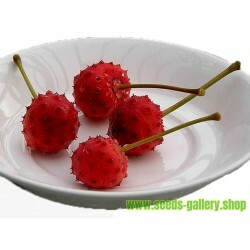 The seeds are smooth and subcylindric with a length of 5.0-9.1 mm, width of 4.0-6.3 mm, thickness of 4.1-6.0 mm. The thousand kernel weight is between 50 and 200 g. There are many different seed colours from maroon to blue-black mottled with straw. In East Asian cuisine, the adzuki bean is commonly sweetened before eating. In particular, it often is boiled with sugar, resulting in red bean paste (anko), a very common ingredient in all of these cuisines. It also is common to add flavoring to the bean paste, such as chestnut. Red bean paste is used in many Chinese dishes, such as tangyuan, zongzi, mooncakes, baozi, and red bean ice. It also serves as a filling in Japanese sweets such as anpan, dorayaki, imagawayaki, manjū, monaka, anmitsu, taiyaki, and daifuku. A more liquid version, using adzuki beans boiled with sugar and a pinch of salt, produces a sweet dish called red bean soup. Adzuki beans commonly are eaten sprouted, or boiled in a hot, tea-like drink. Some Asian cultures enjoy red bean paste as a filling or topping for various kinds of waffles, pastries, baked buns, or biscuits. Traditionally in Japan, rice with adzuki beans (赤飯; sekihan) is cooked for auspicious occasions. Adzuki beans are used in amanattō and ice cream with the whole bean (such as in the 'Cream & Red Bean' product produced by IMEI) or as paste. On October 20, 2009, Pepsi Japan released an adzuki-flavored Pepsi product. Adzuki beans, along with butter and sugar, form the basis of the Somali supper dish cambuulo. In Gujarat, India, they are known as chori. In Malaysia and Singapore, red beans are a major component of the dessert Ais kacang.